New to the forum. Love this program, I subscribed to the pro version! I am having a problem with Wise Uninstaller. It will not start. 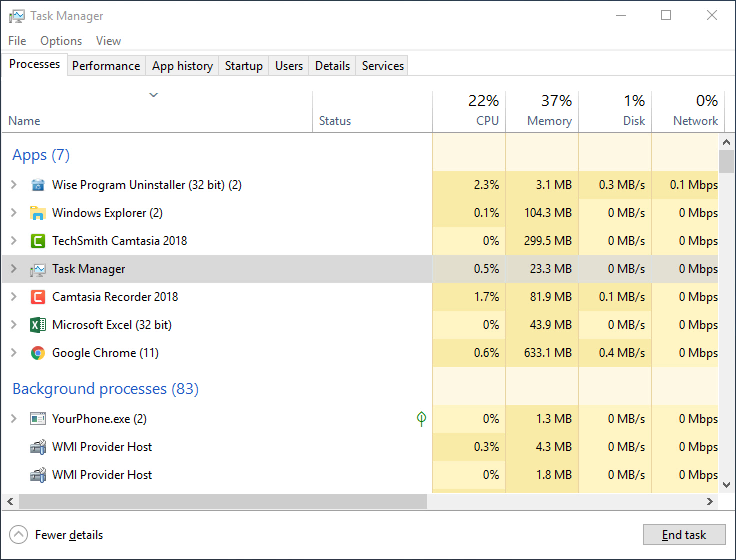 I attached a quick video showing what it does as well as a snapshot of my task manager when resources peak. If I click on it to start, it starts to load, but immediately shuts down. I am running Windows 10 64 bit. The app loads up as a 32 bit app, so I am not sure if that has anything to do with it. This is a new computer, with a few programs installed. Did last version 2.29 work well? I started using the whole app two weeks ago, so this is the first time I gave the uninstaller a shot. So for my experience it hasn't worked from the get go. I tried installing the stand alone installer as well as the version that self installs with Wise Care 365. I have also tried running it as administrator, still no luck. Then run wise program uninstaller again. I updated to the current version, renamed the file, and it works. The issue is Wise Program Uninstaller failed to read these Windows Store apps from your system. Do you remember what apps have you installed from Windows Store? Please show me, we will install and test. When you run this tool, Windows SmartScreen may block it, please agree to run it. After scanning, the tool will create a file named ApplicationManager.exe.package at the same location. If this tool fail to get apps, it will create a dump file at the same location. Please send ApplicationManager.exe.package or the dump file to us. We will check and try to fix this issue soon. I saw 2 apps: AcrobatNotificationClient, and AD2F1837.HPPrinterControl. But I can't find installation files. Where did you install them, from Windows Store? If yes, please tell me their full name.